Ninety-six snow leopards have been spotted in Bhutan as per the nationwide survey report on snow leopards. The report, compiled by the Department of Forest and Park Services, was launched yesterday coinciding with the International Snow Leopard day. It took the department two years to compile the report. Snow leopards were spotted mostly in reserved parks of Jigme Dorji Wangchuck National Park, Jigme Khesar Nature Reserve Park and Wangchuck Centennial Park, among others. 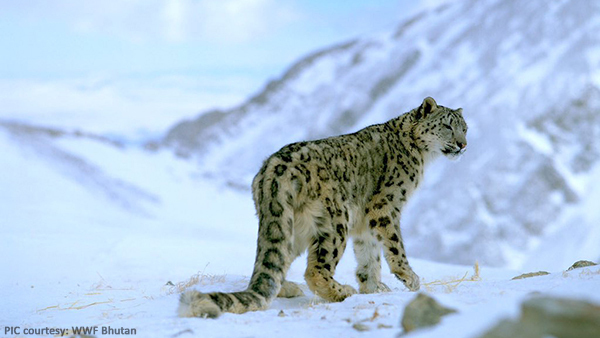 Snow leopards are regarded as indicator species of the health of mountain ecosystems. 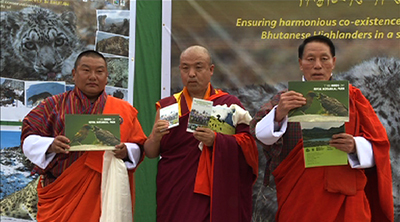 And its presence across the country is a sign that much of Bhutan’s high-mountain ecosystems are healthy. “Globally, snow leopard’s population is estimated to be around 4,000 of which, 96 is in Bhutan. So it’s a number to be proud of,” said the agriculture minister, Yeshey Dorji. Although the cat falls under the category of endangered species, in Bhutan, its conservation is not as challenging as it is elsewhere in the world. To understand more about snow leopards in the country, forest officials radio-collared two such cats, last month. The International Snow Leopard day was observed in the capital with the theme “Ensuring harmonious co-existence of snow-leopards and Bhutanese Highlanders in a shared landscape”.